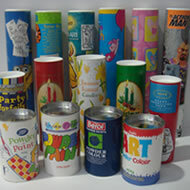 We are a specialised independent manufacturer of printed, plain and labelled cardboard tubes with over fifteen years experience in this business. From our factory in Lancashire we produce well over two million tubes per annum and these are sold to customers throughout the UK and Ireland. In their simplest form we supply plain tubes which customers then fill and close with plastic ends. More often we supply fully labelled or printed cardboard tubes which have a metal base - these we call composite tubes since they are made from a composite of cardboard and metal. 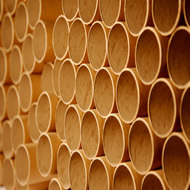 Cardboard tubes are one of the most versatile and economical forms of packaging. Their popularity stems from the fundamental physical property that a cardboard tube uses about 8% less material than a cardboard box of the same volume and they're much more difficult to squash as well. On these pages you will see examples showing the variety of sizes and formats that we can supply. They also demonstrate the variety of industries that use our tubes such as food, gardening, cleaning, leisure, agricultural and building product suppliers. We can supply unlabelled tubes in quantities as few as 100 and labelled tubes as few as 1000 so please call us for prices and technical support. We are here to help at any stage of your product cycle, whether you're planning a new product, repackaging an existing product or simply looking for better prices. 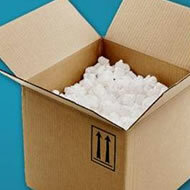 And finally you'll see that we also supply a comprehensive range of other packaging materials. Call us for prices and advice now.